It’s no secret that we are obsessed with owls! 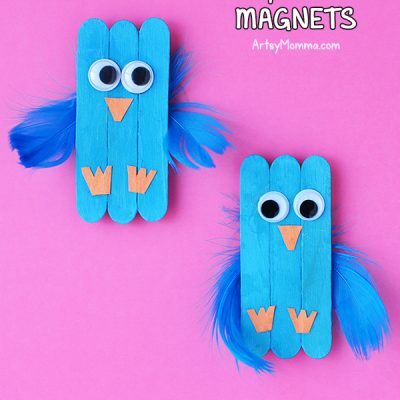 They are so cute and can be made from everything it seems. 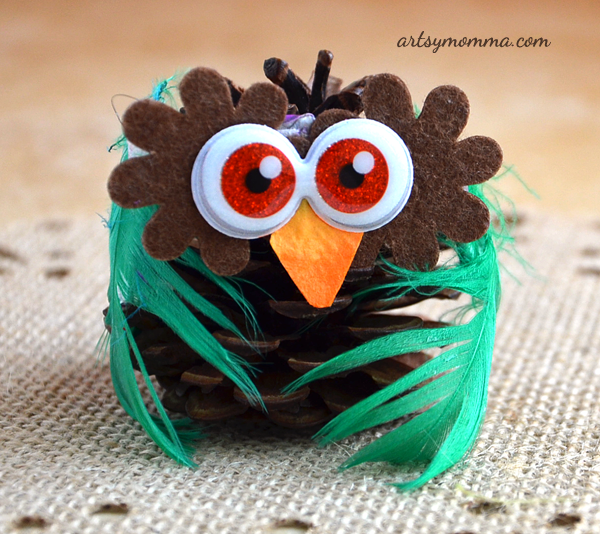 Our most recent is cutest pinecone owl craft. It’s OWL-dorable! Tee, hee. 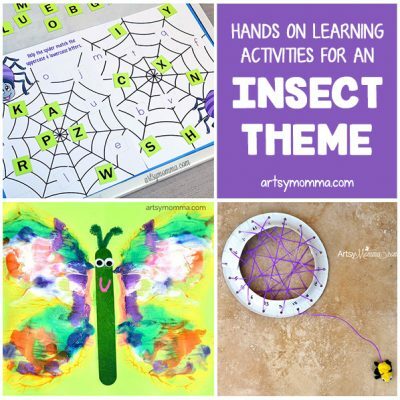 It can be made in less than 10 minutes and can be done with kids of all ages. 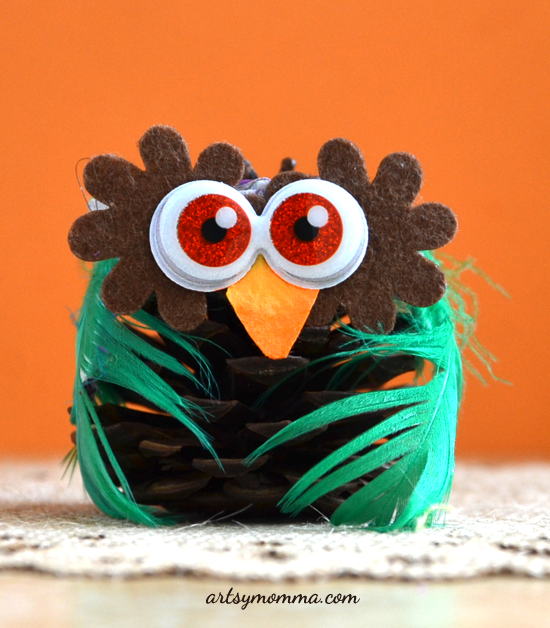 Tape or glue 2 felt flowers (or cut circles from cardstock) to the top of a pinecone. Attach the sticker eyes. Make a beak shape from orange cardstock and glue on under the eyes. Add feathers for the owl wings. I found that duct tape worked best for attaching them. « Paper Plate Pac-Man, Inky & Clyde Craft using Puffy Paint! Oh my goodness– too cute!